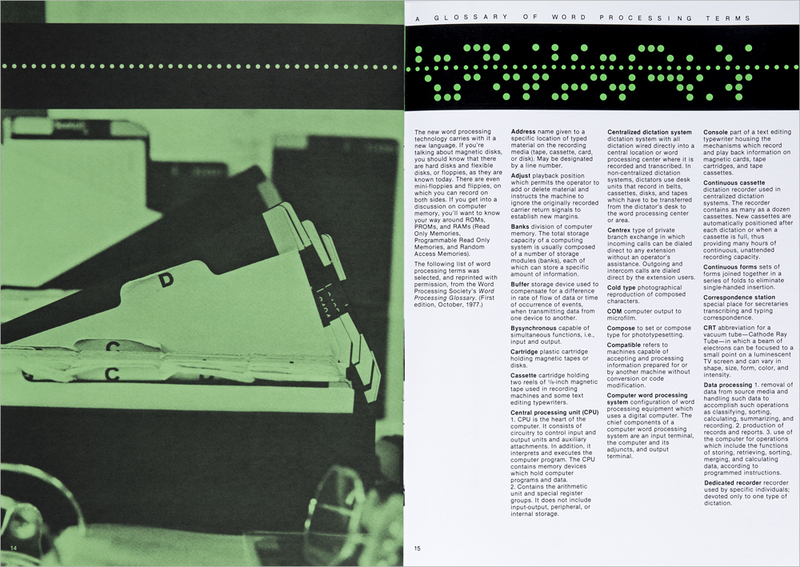 Ideas is a quarterly magazine about users and specifiers of Herman Miller office products. In 1978 word processing was being adopted by corporations and paper tape was one of several memory devices used to store information. 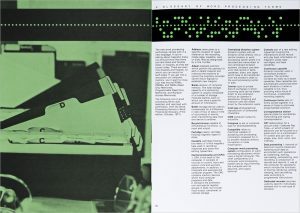 Enlarged to twice its actual size, the paper tape running across the top of each page translates the headline of the article into “machine language”. 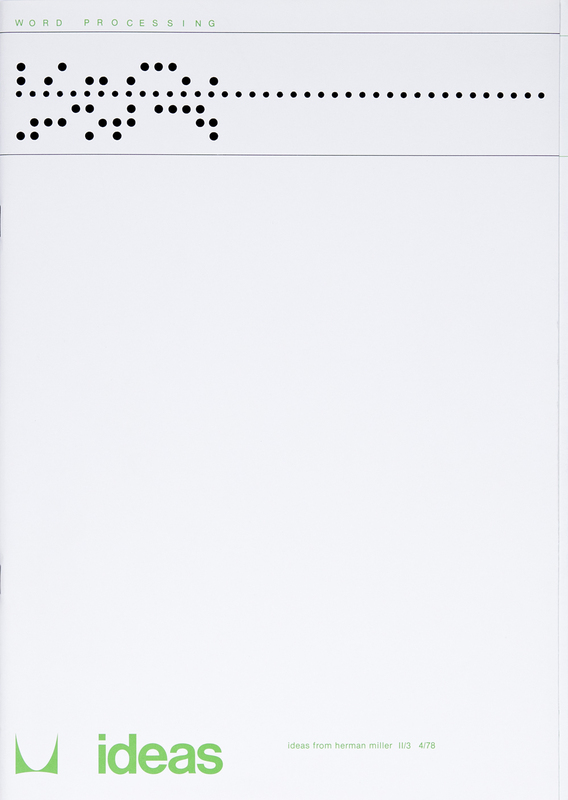 Each vertical set of dots represents the character or spacing directly above it. 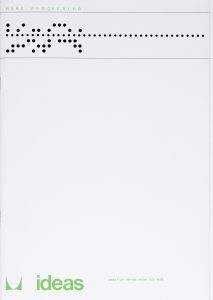 Paper/Material White dull coated text and cover paper stock. Green uncoated text paper stock. Techniques Offset printing, 2 spot colors. Cover is diecut, scored, with double gate fold.